Employment lawyer Karen Coleman has sealed a partnership agreement with PM Training. The agreement will allow companies who take on apprentices via PM Training to take advantage of special fixed rate employment law packages. And the Realise charity, which helps young people in North Staffordshire, will benefit as 10 per cent of fees generated will go to support them. Karen, of Norton Green, recently joined new model national law firm Excello Law after a long stint as Head of Employment Law at Burslem based Myers and Co.
Karen advises a national client base from large corporates to owner-managed businesses on all aspects of employment law. 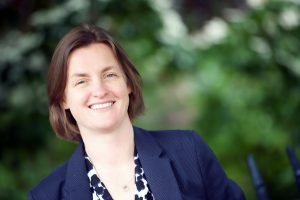 Excello Law is a fast-growing, national law firm providing senior experienced commercial lawyers like Karen with a more dynamic, forward-thinking and independent environment in which to practise. The agreement with PM Training offers packages designed to give tailored employment law advice to companies employing apprentices through their services. PM Training is Staffordshire’s leading supplier of apprenticeships, helping 250 young people a year to gain skills and employment opportunities. For media enquiries contact Nigel Howle by phone on 0776 2043436 or email nigel.howle@howlecom.co.uk. Karen Coleman is a specialist employment lawyer based in Norton Green, Stoke-on-Trent. Karen qualified in 1999 and has advised companies from micro businesses to large corporates on the law. Karen has particular experience of the employee considerations during major commercial transactions, including business sales and employee transfers from the public sector, as well as advising on sensitive exits of senior employees and directors. Karen is supported by a team of Excello law colleagues in the area to offer a comprehensive, but highly flexible, legal service. With gift aid from PM Training, donations from local people and business, the Realise charity provides essential support to over 650 people in Staffordshire each year to progress in their education and gain employment. The charity supports a number of progressive initiatives to improve neighbourhoods and disadvantaged communities; help people overcome barriers to skills, support people into employment, tackle health inequalities, and assist in the development of people’s confidence, independence and self-reliance. The essential support provided includes the provision of work wear, tool-kits, lap tops, driving lessons, personal development training, creative artwork and environmental improvements. Realise works together with Aspire Housing and PM Training to blend commercial expertise with social purpose, to revitalise communities by providing homes, training, employment and support.